like the idea of cycling on quiet roads and bike paths round town and the surrounding countryside ? want to develop more fitness, or confidence ? want to explore some of the great cycling routes in our area? 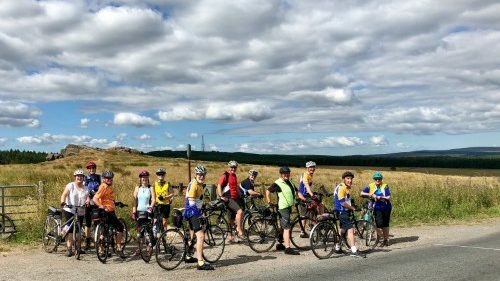 want to ride with a friendly group of cyclists at a level which is right for you – from beginner to very experienced? Harrogate Wheel Easy started in 2006 and is one of the largest leisure cycling clubs in the UK. 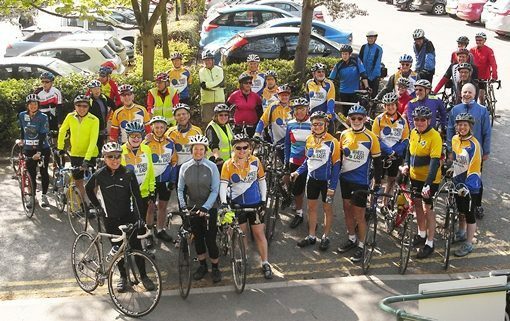 It’s for people who like the idea of leisurely and more challenging cycle rides in Harrogate, the surrounding countryside and out into the Yorkshire Dales, Moors and Wolds. Harrogate Wheel Easy aims to encourage people of all levels of cycling ability to experience the pleasures of cycling, one of the best and most enjoyable ways of keeping fit, as well as being the most environmentally friendly form of transport. Some members now ride ebikes. All rides are at your own risk. Please ensure that you have your own third party insurance (check your house insurance) and consider Cycling UK membership.